Chicago Review Press, 9780897336055, 327pp. Danny Divin is a young white man in South Africa who enters into an illicit romance with a mixed race schoolgirl, the daughter of a black domestic servant. When social constraints force Danny to end the romance, he travels to America with the hOut of Printes of starting a new life. There he meets Tesseba, a curious and trusting artist who takes him in and marries him to save him from deportation. The two build a life together, but Danny continues to be plagued by a growing sense of loss. Twenty years later, Danny returns to a "new" South Africa in the hOut of Printes of saving a family fortune and finding the girl he has never forgotten. Schmahmann was born in Durban, South Africa. He is a graduate of Dartmouth College and the Cornell Law School and has studied in India and Israel and worked in Burma. He practices law in Boston. 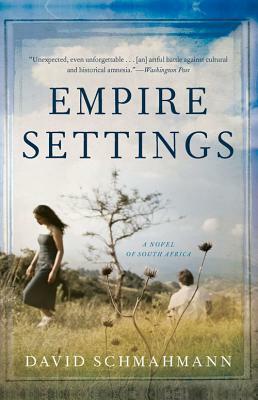 "Thoughtful, affecting and skillfully constructed... Schmahmann's portrayal of South Africa, past and present, is as poignant—and nuanced—as his delineation of the characters and their relationships."